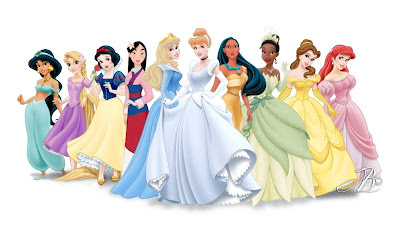 If you had to choose a Disney princess to live the rest of your life as…which princess would you choose and why? My 5 year old then tells me that I would have to be Cinderella, as I love shoes. Thank you son, but I couldn't imagine running around in a pair of glass slippers. I would love the sweet joy of karma, and total shock to see my wicked step mother react, when I am now the beautiful princess married to Prince Charming! My 3 year old then asked which one was the princess with the tiger, as that would be a fun pet. He made no mention of her confidence, strength, and ability to over come the odds stacked against her. Nope, my three year old just wanted a pet tiger. If I had to choose to be one princess for the rest of my life, I would choose Belle. She fell in love with the Beast, got to hang out with singing dishes, and has a huge library! My love of books would be a huge deal maker for me. The opportunity to love the service staff, especially Chip and Mrs. Potts would also seal the deal. I know that the Beast has many endearing qualities, once he let down his guard, and I can see how easy it would be to fall in love with him. I love that she sees the inner beauty of the many characters she meets, instead of their outward persona. She has an open heart, plenty of confidence, and elegance! Belle knows how to rock the yellow ball gown, a color I struggle to wear well. (I wear the color often, but to be honest it can make me too pale.) I know that I would make a happy home with the Beast, the staff, and knowing my father wasn't that far away. Which Disney princess would you be? Which qualities would help you to select your princess? Have a favorite princess? If you have boys, do they know the princess names?